Sherwin-Williams has announced that it's joining the fight against hospital-related infections with a paint that kills certain harmful bacteria, according to the company. Experts, however, say they want to see proof in the field first. The company says the "Paint-Shield" line is designed to kill 99.9 percent of bacteria after two hours of exposure on painted surfaces. The paint has been certified with the U.S. Environmental Protection Agency for being an "antimicrobial paint" and killing dangerous bacteria including those that can cause staph, MRSA (Methicillin-resistant Staphylococcus aureus) and E. coli infections. Sherwin-Williams said in a statement that its new paint "has passed rigorous EPA test protocol conducted by third party EPA inspected GLP labs." Hospital infections affect hundreds of thousands of patients every year in the U.S. According to the U.S. Centers for Disease Control and Prevention, 722,000 patients had acquired an infection while in the hospital in 2011 alone (the most recent data available). Of those 722,000 patients, 75,000 of them died during their hospitalizations, although the CDC does not cite specific causes of deaths. Infectious disease experts say they are curious how the Sherwin-Williams paint will work in real settings and express caution that the overall benefits may come in below expectations given that many patients are infected by other patients. Dr. Anthony Harris, a professor of epidemiology and public health at the University of Maryland, said that most hospital-acquired infections occur when a medical staff member transmits a pathogen, either a bacteria or virus, from one patient to another. For patients with a highly-resistant bacteria, "20 to 30 percent of the time [the patient's room] is contaminated" with bacteria, Harris explained. Harris, who is also the head of the Society for Healthcare and Epidemiology of America, said he wants the Sherwin-Williams paint tested in a real-world hospital setting before recommending the product. "Obviously hospital epidemiologists are interested in any way to decrease bacterial contamination in that person's room as long as it's cost effective," said Harris. "These types of inventions are desperately needed...to prevent transmission [of resistant bacteria,]" Harris continued. "[But they] need to be tested in real world setting before widespread adoption." 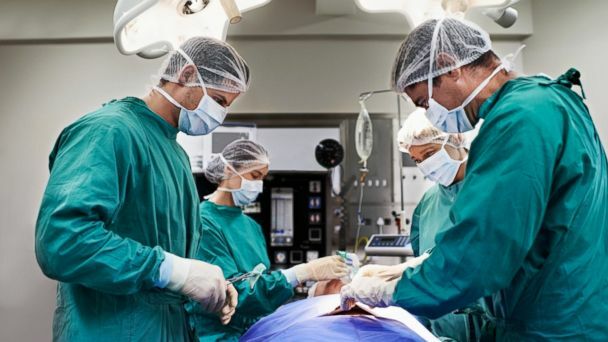 Dr. William Schaffner, an infectious disease expert at Vanderbilt University School of Medicine, noted that the focus right now in hospitals has been on cutting down infections through "interpersonal interactions." Schaffner said medical staff should be monitored for how often they wash and disinfect their hands before and after leaving a patient's room. In rooms with patients who have a compromised immune system, Schaffner said inanimate surfaces are disinfected and anyone visiting the patient wears special gear so new bacteria or viruses are not introduced to the patient. "Maybe in that circumstance [the paint] will add another small measure of projection," said Schaffner. "Every little bit helps. I'm glad everyone is trying to help us do better to try and help our patients."